Amenities are right at the door-step of Kerrisdale, including schools, shops, markets, food centres, restaurants. It is also near the Serangoon Plaza, Tekka Mall. Kerrisdale is accessible via the nearby Central Expressway (CTE). Driving to the Orchard Road and the city takes a mere 5 – 10 minutes. Public transport is readily available along Serangoon Road. A great place to live in - very close to all amenities but yet away from the hustle and bustle.Daily commute a breeze as 2 MRTS within 5 mins away. Amazing condominium. Well managed and conveniently located. Centrally located with all amenities close by. 5 Mins walk to Farrer Park MRT. Full Condo facilities with resort style living. high floor,windy,city view,near farrer rmrt purple line,n near Mustafa shopping centre,near city square shopping centre. I have had a look at many condos in Singapore and this condo is the best. 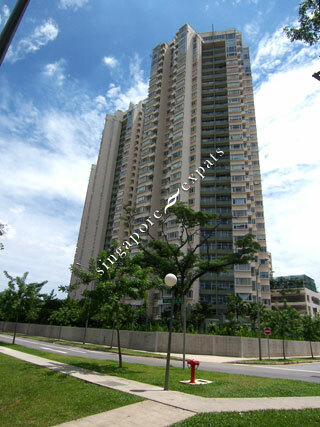 It is so close to the city, it is close to a wonderful mall with a large Fairprice supermarket which is within a short walk (one block away), and the Farrer Park MRT can be accessed through the same mall underground. Absolutely perfect. Location, location is the main thing in this property which is going to increase in value leaps and bounds!! Now my husband has no excuse not to do the shopping!! Just a very perfect place and location. Kerrisdale is the best condo in Singapore, I feel. There is a lot of potential in this condo. City Square Mall is very near and it is going to get movie theaters by the end of 2012. That will bring the price of the units even higher.